Learn how to save money on your electric bill during the holidays so you can spend more time buying the fun stuff! These money saving tips are so easy, you’ll wish you had started using them sooner. 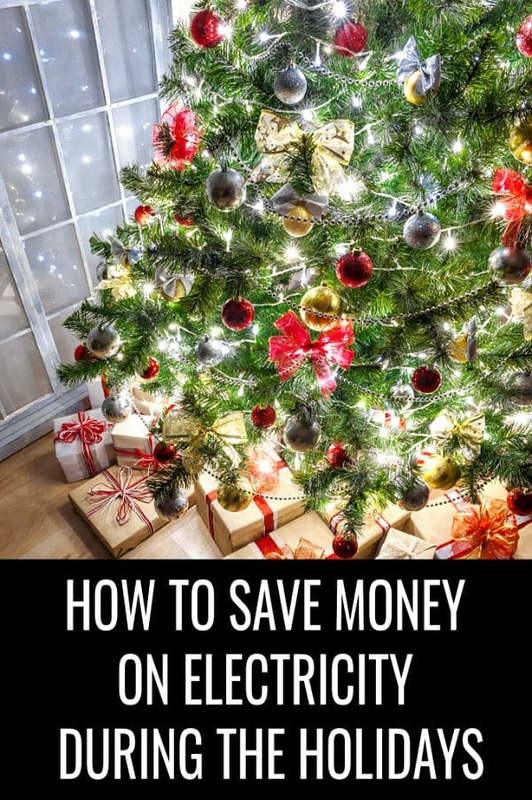 This post on how to save money on your electric bill during the holidays was sponsored by Best Buy. 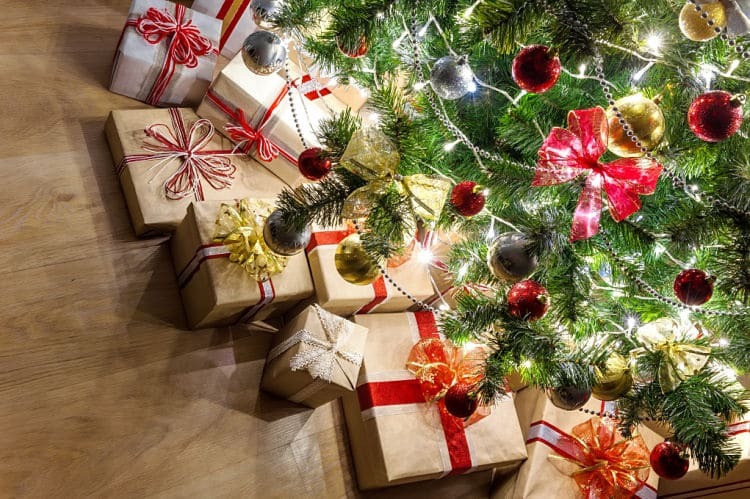 During the holidays, you likely spend more money than any other time of year. With all of that extra spending, you’re probably looking for ways to cut back in other areas too. And maybe not even just at the holidays but on everyday bills too. One of the bills that inevitably goes up around the holidays is for your electricity. If you’re ready to have a little more money left in your budget for gifts this year, you need to know how to save money on your electric bill during the holidays. Saving money on your electric bill during the holidays doesn’t require a lot of sacrifices, but it does require planning ahead. Some people may be able to find more savings depending on how extreme they go. Or how dedicated they are to saving not only money but time. And they might even help you survive the holidays with less stress! 1. Adjust the temperature in your house. Why spend more money than you need to on heating if you don’t have to? You could just add on another layer and turn the thermostat down a few degrees. I’m not saying turn the thermostat off completely (although you could do that too), but setting the temperature to something that allows you to comfortably wear a sweater inside without getting too hot. 2. Invest in a smart thermostat. This small investment (which also might have a rebate through your utility company) will help you save even more money. You can control the temperature right from your phone and strive to make choices that result in the greatest energy savings. A smart thermostat also senses when you’re not home and will lower the thermostat while you’re away to help you save money. Schedules can also be set to help you more easily control the temperature and help you save money on your electric bill. 3. Keep your ceiling fans running. It may seem like turning off your ceiling fans will save you money but the opposite is actually true. By having a fan on, you help circulate the heat and keep the temperature steady. 4. Set a timer for Christmas lights. With exterior lights especially, it can sometimes be hard to remember to turn the lights off at night. Instead of running the risk they are on all night when no one is even awake to enjoy them, you can put the lights on a timer. We have a timer built right into our extension cord splitter. This makes controlling all of our outside lights easy. Sure they cost a little more money originally, but you’ll quickly see the value they bring. The money spent initially to buy LED lights will be saved many times over in your electric bill savings. 6. Batch your baking together. It’s easier to reduce the amount of time and money spent baking if you do more than one thing at a time. If you know you need to make cookies for the neighbors, teachers, and a cookie exchange, find a time where you can make them all at once. You save time because you’re already using similar ingredients and tools in the kitchen. But you’re also saving money on your electric bill because you’re not turning the oven on and off three separate times. 7. Use a Google Smart Light Starter Kit. 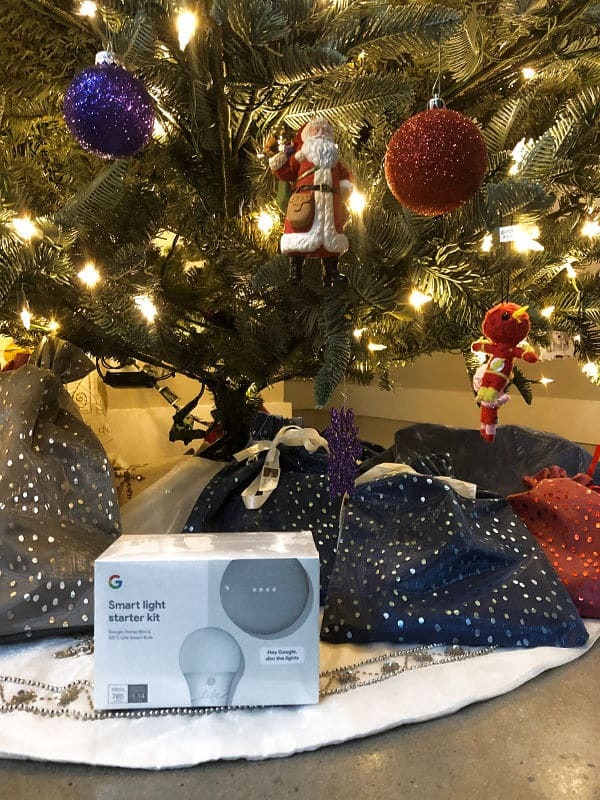 The Google Smart Light Starter Kit combines the Google Smart Light with Google Assistant and is a great addition to your home. Especially during the holidays because you can use them together to save energy, control your lights, and so much more with just your voice! It’s super easy to set up too. Just plug in the Google Home Mini, screw in the GE C-Life light bulb, and download the Google Home app. From there you’ll be able to set the mood for a movie by dimming the lights but never leaving the couch. Or you can create a routine based on your schedule and turn off the lights while you’re snuggled up in bed. 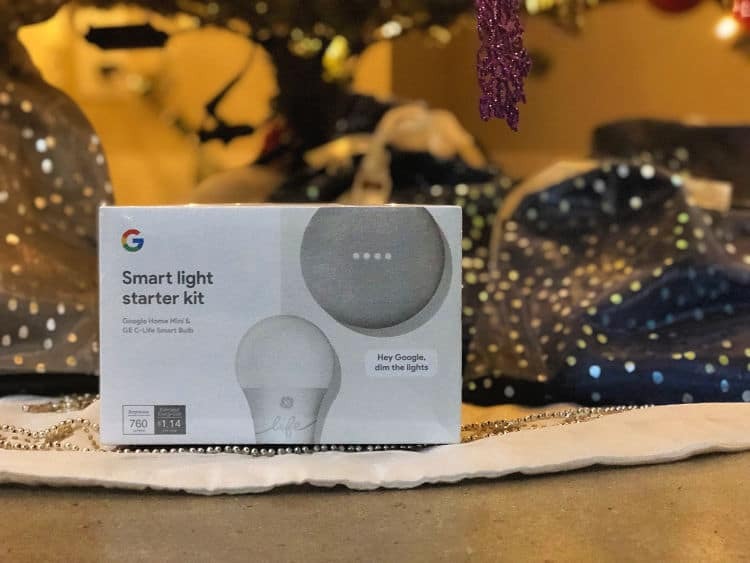 The Google Smart Light Start Kit is available at Best Buy for just $55. This makes it one of the lowest priced smart lighting products on the market! Do you have any other tips on how to save money on your electric bill during the holidays?